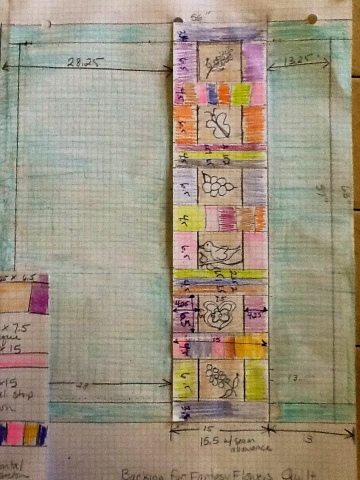 This is my design sketch for the back of the Fantasy Flowers Quilt. The pattern is by Pearl Pereria of P3 Designs. I will not stitch the appliqué by hand for the back, I will use invisible thread and zigzag the edges down. I wanted to use up the leftover fabric from the kit and I think this is the perfect way to do so without taking years to do it.